The lands of the Kingdom of Gruenroth is ruled by various warlords, tribal chieftains and self-appointed earls and has no actual hierarchy of power such as is in place in many neighboring lands.Only common denominator is that these rulers acknowledge the king’s supremacy over them. Ludwig Morton calls himself the Lord of Thrubmorton Fens, but the swampy, forested area known as Thrubmorton Fens is in actuality quite much larger than what Ludwig can comfortably control. But who’s there to contest him anyway? 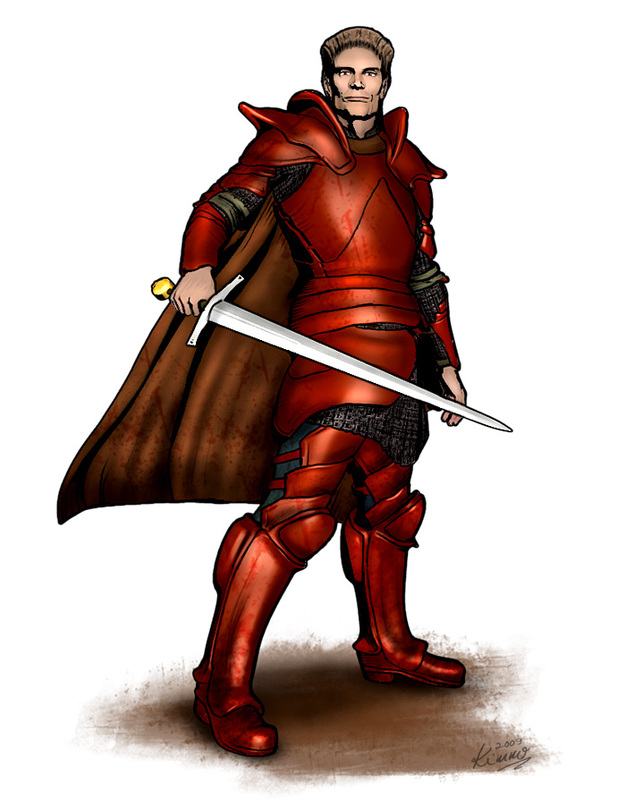 Ludwig is also widely known throughout the continent as The Crimson Knight because of his unique red armor said to be infused with magical properties derived from an actual dragon.